Have you ever visited a Japanese home? 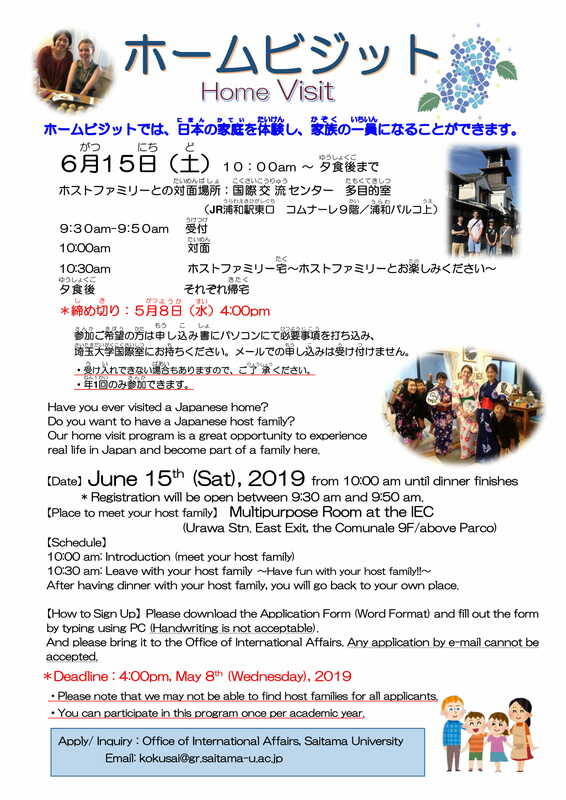 Do you want to have a Japanese host family? 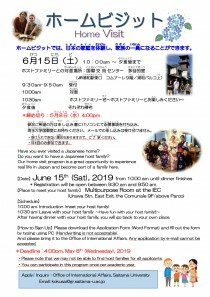 This home visit program is a great opportunity to experience real life in Japan and become part of a family here. ＊You can participate in this program once per academic year. 10:30 : Leave with your host family. Have fun with your host family!! After having dinner with your host family, you will go back to your own place. Please download the Application Form (pdf) and fill out the form by typing (Handwriting is not acceptable) . And please bring it to the Office of International Affairs. Any application by e-mail cannot be accepted.